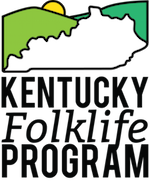 The Kentucky Folklife Program’s archives are maintained by the Manuscripts and Folklife Archives at Western Kentucky University’s Library Special Collections. The Manuscripts and Folklife Archives at WKU holds accreditation status from the Kentucky Oral History Commission (KOHC). Read more about WKU’s accreditation status from the Kentucky Oral History Commission (KOHC) here.